During the days from March 20th to the 25th, 2012, the 1st Italian International Dragons Regatta will take place on the sea space in front of the Port of Sanremo. It’s a high level and prestigious sailing event with participants from all parts of Europe. 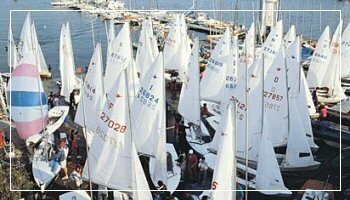 From March 30th to April 1st, 2012 the first regatta on the calendar will occur in Sanremo with the Snipe Season. The Championship is part of the Spring Criterium, an event of the Sanremo Yacht Club which took place for over 50 editions and opens the season of the sea competitions.